From soft touch to textured varnish and from complicated patterns to delicate fonts, it's the perfect solution for even the most sophisticated finishes. Varnishing is one of the most challenging disciplines in packaging printing. Specialists in this field regularly outdo one another with new premium products that make a stunning creative, tactile and visual impression. Optimal interaction of the varnish and the stencil is crucial to the success of these shining masterpieces. Although our Laserline CSL is still very much a newcomer to the scene, it has already demonstrated its ability to shine many times over, which is why we have decided to spotlight it with a page of its own. Before we continue, we should point out that it was never intended as a product simply for run-of-the-mill jobs (though of course it handles them very efficiently too). Yet the reasons why more and more packaging printers are turning to this stencil, with its characteristic black elastomer surface, for their most demanding products and manifold: it's not just the almost microscopic resolution we can achieve with our fibre laser that counts but also the transfer quality that is possible with problematic varnishes. Laserline CSL is basically suitable for any type of varnish – both aqueous and UV. However, the stencil's true strengths are particularly evident where conventional plates have a tendency to fail, for instance with textured, high-gloss, soft touch or other special-effect varnishes. This is partly due to the excellent transfer characteristics of the elastomer material, which manages with less varnish. Laserline CSL is resistant to chemicals and does not swell. It is also insensitive to breakage and scratching – and thus the ideal varnish plate for repeat runs. 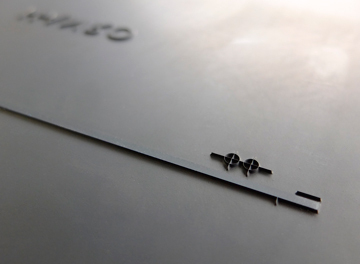 The maximum resolution of 5080 dpi opens up a completely new dimension in stencil design. 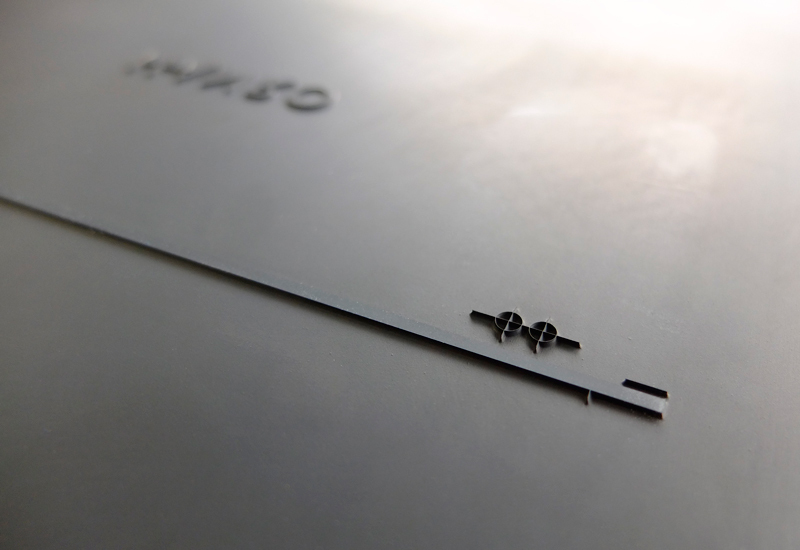 The direct laser engraving technology moreover allows a maximum of edge sharpness. Thanks to the seamless digital production process, the original data is converted in the plate 1 : 1. 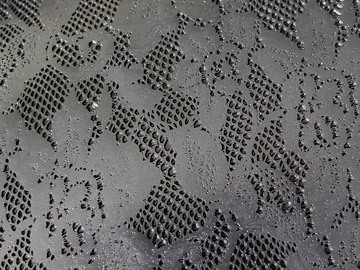 The printing surface is not only laser engravable, it's also strippable. You can therefore combine complex details and large surfaces on a single plate. Give it a try – it's easy! Laserline CSL is no more difficult to use than any other stencil – although you may need to change a few of the parameter settings in your printing process. Our tip: put this top-quality product to the test at your leisure and match it to your specific printing requirements. For support do not hesitate to contact us: vorstufe-nospamplease- @birkan.de.